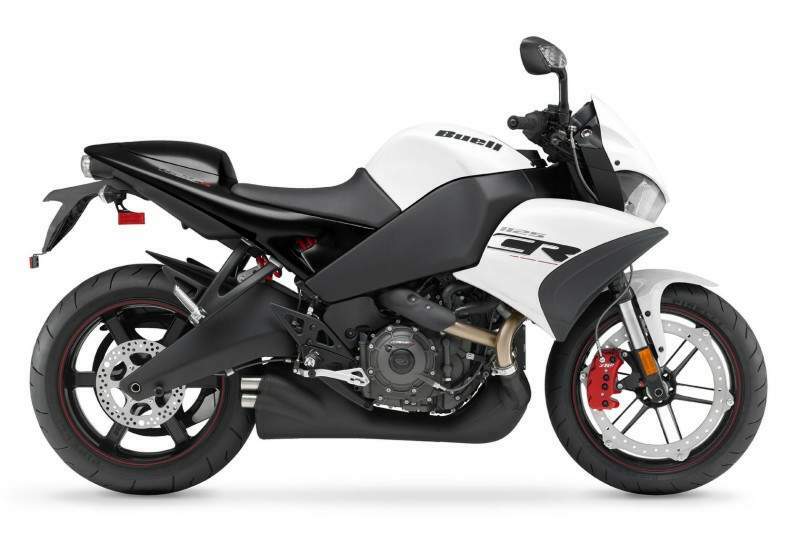 As a modern Café racer, the Buell 1125CR model combines the 146-hp, liquid-cooled Helicon 1125 cc V-Twin engine with the Buell Intuitive Response Chassis (IRC) to create a bad attitude bike backed up with exceptional performance. A new upright tapered aluminum handlebar adds comfort while transforming the ride from sport to pure streetfighter. Final-drive gearing optimizes acceleration for the street, and an upgraded front master cylinder improves brake feel. 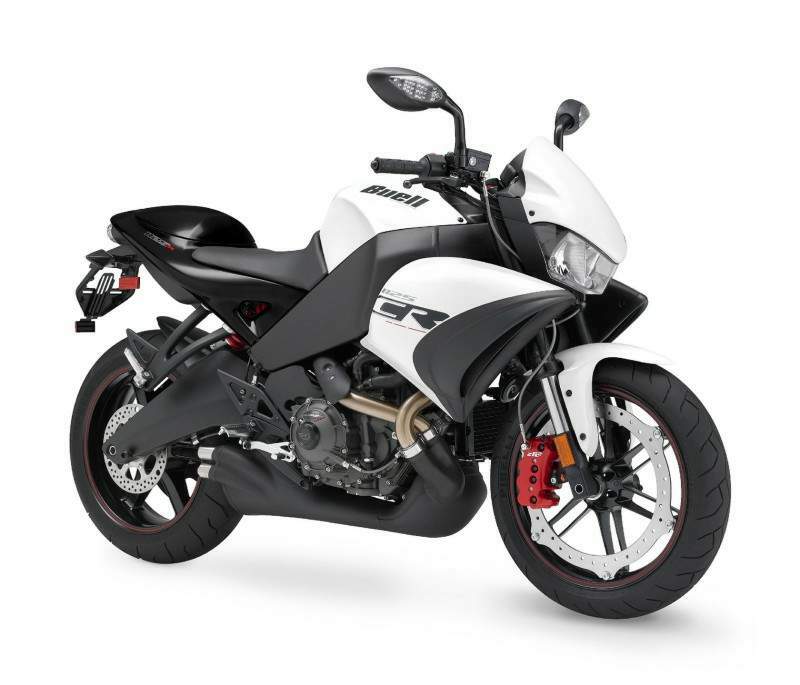 New graphics, bodywork colors, blacked-out components, LED taillight, rear turn signals, and a flycut ZTL2 logo on the brake caliper deliver style. A new engine cover sightglass for oil checks and a battery tender plug pre-wired into the wiring harness add convenience. The 1125CR model is now available in a new Artic White/Midnight Black color combination, as well as Midnight Black and Racing Red. 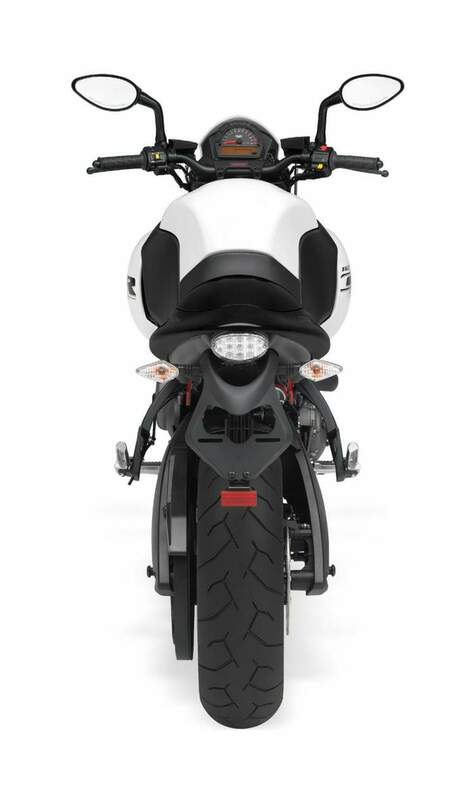 As Erik Buell’s vision of a modern day café racer, the Buell® 1125CR blends class-leading performance with sinister styling and a wicked attitude to push the boundaries of the streetfighter category. The technology that’s gone into these two bikes is as unconventional as their styling. The 176bhp K1300R uses shaft drive, the 146bhp 1125CR uses belt drive. The BMW uses Duolever front suspension, which you won’t find on any other bike, while the Buell’s perimeter disc braking system at the front wheel entails the use of a single disc – unlike all other large-displacement sportsbikes, which use twin disc set-ups at the front.